With over 25 years’ experience, and as the only heating company to be awarded a Distinction from the Institute of Customer Service, you can be confident that we are the right partner for your next project. Warm water underfloor heating is one of the best ways to heat a home. It is efficient, perfectly suited to open plan living and warms rooms evenly – no more cold spots! Plus, it’s simple to install our tailored underfloor heating systems in a wide range of properties, including those being renovated. Considering renewables? Underfloor heating works particularly well with both ground and air source heat pumps, enabling them to run efficiently and keep costs down. 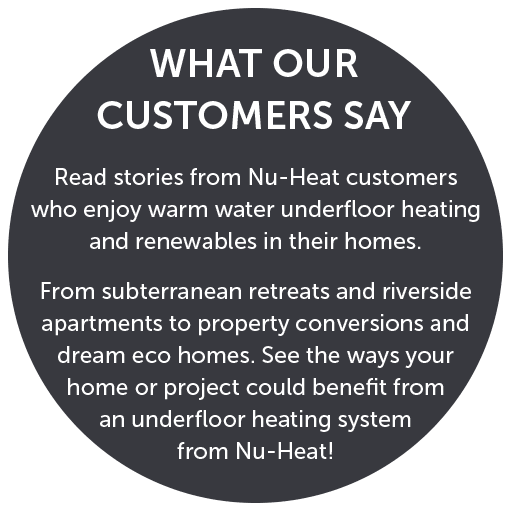 Nu-Heat also offers solar thermal systems that can generate up to 60% of a home’s domestic hot water a year. Our award-winning, super-slim LoPro® range makes underfloor heating simple to install in virtually any renovation project. Adding as little as 15mm height build-up, and offering unbeatable heat outputs, there’s a LoPro® system for every type of property – whether you’re adding underfloor heating in one room or throughout the whole house. 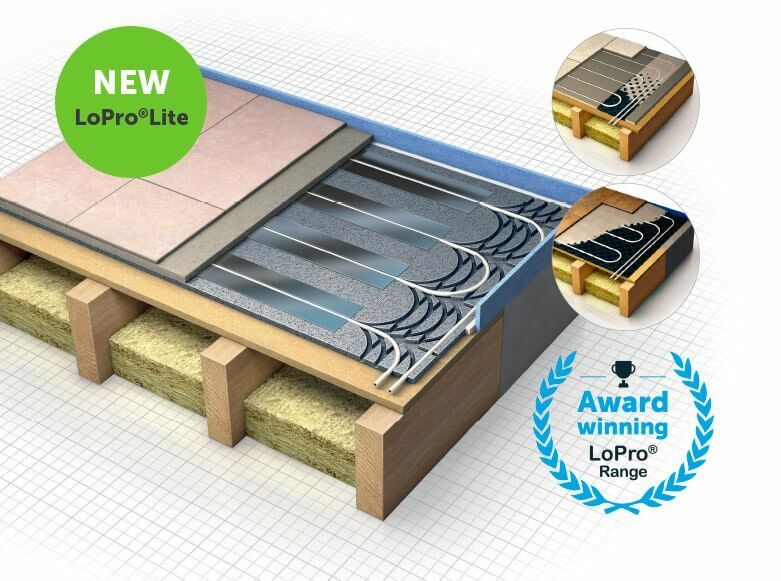 Find out how LoPro® retrofit underfloor heating can work in your project.